Let small ice chips melt in your mouth. Do not use tobacco or alcohol. They dry out the mouth. Increasing salivary flow can be achieved by chewing sugar-free gum, sucking on lozenges (e.g. Numoisyn and Salese) or sugar-free candies, or taking certain medications. Commonly used over-the-counter products include Xyli-Melt and Salese lozenges and Biotene dry mouth products (gel, spray, toothpaste). Snacking on carrots or celery may also help. Products that contain xylitol can help reduce the risk for dental decay (e.g. Numoisyn and Salese lozenges, Biotene gum, diabetic candies). Pilocarpine (Salagen) and cevimeline (Evoxac) are prescription medications that stimulate saliva production. Both are used to treat dry mouth by stimulating saliva flow. They should not be used if you have asthma, glaucoma, or heart arrhythmias. The most common side effect is excessive sweating. To minimize this, it is best to start the medication with one pill at bedtime and then increase after one week to one pill in the morning and one pill in the evening, and then after another week to one pill three times a day. Other potential side effects include upset stomach or throwing up, nose stuffiness, and lowered night eyesight. You can take the drug with or without food. It can take up to 2 months for these medications to have full effect. Minimize the use of medications that can cause a dry mouth. Many of these are prescription medications (such as anti-depressants, muscle relaxants, and anti-spasmodics for overactive bladders and bowel cramps). Talk with your physician as to whether these types of medications can be discontinued. Some over-the-counter medications can also cause a dry mouth, such as anti-histamines and decongestants. Artificial saliva or saliva substitutes can be used to replace moisture and lubricate the mouth. These substitutes are available commercially and come in a variety of formulations including solutions, sprays, gels and lozenges. In general, they contain an agent to increase viscosity, such as carboxymethylcellulose or hydroxyethylcellulose, minerals such as calcium and phosphate ions and fluoride, preservatives such as methyl- or propylparaben, and flavoring and related agents. It is worthwhile to check out “dry mouth” products on Amazon.com. They have many different ones, and reviewing the website will give you a sense of what is available. Try different ones to find the best for you. Patient preference regarding taste, mode of use, etc are key factors in choosing one. Eat sugary foods only during a regular meal. Eliminate dietary sugar (e.g., sucrose, glucose, and fructose) intake between meals, both in terms of snacks and beverages. Purchase “sugar-free” snacks and candies (not “sugarless,” which often contain “less” sugar rather than no sugar!). These sugar-free snacks contain sweetening agents that do not cause dental caries, such as xylitol, sorbitol, saccharin, aspartame, or sucralose. There is evidence that the use of a xylitol-containing gum or candy four to five times a day for 5 minutes after meals and snacks can reduce caries-producing bacteria. Do not sip on carbonated beverages (e.g. a can of soda) between meals. The acidity of the beverage cannot be buffered without food and this prolonged fermentable carbohydrate and acidity in the mouth promotes dental decay. Should you drink, drink quickly (including juices). Try to consume juices that are fortified with calcium and fluoride and rinse with water afterwards. Practice scrupulous oral hygiene. Brush and floss regularly and use fluoride daily. Your teeth should be cleansed at least twice daily using a soft bristled electric toothbrush and mildly flavored (avoid strong minty flavor) low-abrasive toothpaste. Choose “dry mouth” toothpastes. They do not contain sodium lauryl sulfate, a chemical in most regular toothpastes which may contribute to the formation of canker sores. Avoid whitening, tartar control, or smokers toothpastes since these contain abrasives. For the first 30 seconds, use the dry brush and brush the lingual (inside) surface of your teeth, then moisten toothbrush and apply a dry mouth toothpaste (e.g. Biotene, Pronamel, CloSYS, Orajel, Sensodyne) and brush for 1.5 minutes. Floss between all adjoining teeth at least once daily to remove dental plaque. Carry a travel toothbrush and toothpaste with you to work and brush after meals and snacks. Do not brush immediately after consuming acidic beverages or food (lot of food and fruits, including salad dressings, are acidic). Instead rinse mouth with plain water or low fluoride containing rinse (e.g. ACT) and brush after half an hour. If you are at low-to-moderate risk of caries, you should use a 0.05% sodium fluoride mouth rinse (available over the counter, such as ACT or Colgate Fluorigard) for 1-2 min. daily, before sleep. Hold the sodium fluoride rinse in your mouth for at least one minute before expectorating. If you are at high risk of caries, your dentist or physician should prescribe 1.1% neutral sodium fluoride toothpaste (such as Prevident 5000 or SF 5000) to be used once daily in place of your regular toothpaste. Prescription fluoride toothpastes can be applied with a toothbrush and left in place for two to three minutes before expectorating. Do not swallow the prescription fluoride toothpaste. If dental caries develop in spite of daily use of topical fluoride, a soft acrylic carrier can be constructed for nighttime use of fluoride gels. Take your dentures out before going to sleep and disinfect them as follows: Plastic (acrylic) dentures: Dentures should be soaked in sodium hypochlorite (1 part household bleach to 10 parts water) for 10 minutes, before rinsing and leaving in plain water for the rest of the time. Dentures with metal parts: Should be soaked in chlorhexidine mouthwash for at least 20 minutes, before rinsing and leaving in plain water for the rest of the time. Rinse dentures well with cold water after soaking. Alternatively, you can use DentaSoak (Great Lakes Orthodontics, 1-800-828-7626) to disinfect them for 15 minutes nightly. To remove concretions from the denture/appliance, place them in full strength vinegar for 10 minutes, and brush gently to remove the mineralized material. Repeat as needed until the denture surface is clean and smooth. Apply Vaseline, Aquaphor or Vitamin A&D ointments (petrolatum and lanolin), pure lanolin (e.g. Lansinoh), Burt’s Bees beeswax lip balm, or coconut oil frequently during the day. Do not lick your lips. Oral candidiasis is an infection resulting from overgrowth of fungal micro-organisms normally present in the oral cavity. Candidiasis may result from a recent illness, course of antibiotics, chronic use of a steroid inhaler, other steroid use, smoking, denture use, and dry mouth. Symptoms include a painful mouth, sometimes with a burning sensation, and sensitivity to spicy or acidic foods. In addition, there may be redness and cracking of the corners of the lips. Treatment of oral candidiasis in the setting of dry mouth requires anti-fungal medication, taken as either a daily pill or as a topical treatment, in the form of a troche (which is allowed to dissolve in the mouth) or a solution (which is swished around in the mouth before swallowing). To reduce the frequency of recurrences of oral candidiasis, soak your toothbrush, etc. in full-strength household bleach for I0 min, set timer, to disinfect. Rinse thoroughly in cool water before using. Repeat weekly. If your metal dentures/appliances turn black in bleach or have soft liner, order DentaSoak (Great Lakes Orthodontics, 1-800-828-7626) to disinfect them for 6 hours daily wbile asleep. Do not sleep with dentures in mouth. 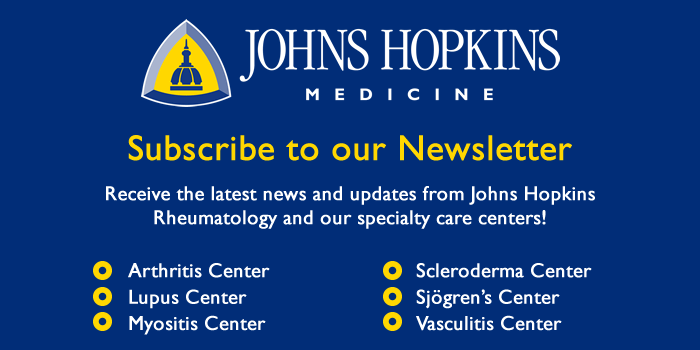 All information contained within the Johns Hopkins Jerome L. Green Sjogren’s Center website is intended for educational purposes only. Physicians and other health care professionals are encouraged to consult other sources and confirm the information contained within this site. Consumers should never disregard medical advice or delay in seeking it because of something they may have read on this website.